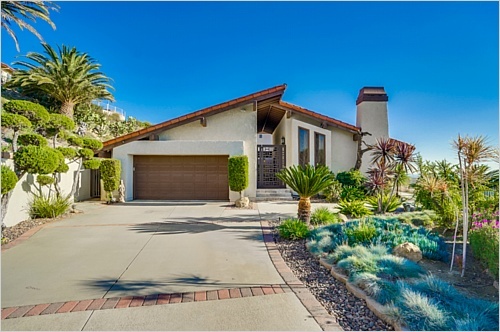 Beautifully remodeled with over $400K in exquisite updates this meticulously cared for 4 BR, 3 BA home features delightful spaces for entertaining & relaxing. 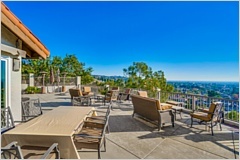 Perched above it all on a half acre lot, enjoy coveted views. Inside, simple elegance & intricate design details blend to create wonderful appeal. Hardwood & travertine flooring, recessed lighting, double paned windows & remote controlled Sunsetter shades add charm throughout. 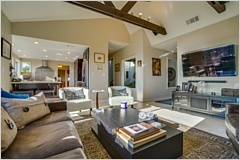 Enter via an inviting atrium with exposed beams, & tranquil ambiance. As you walk through the interior, cathedral ceilings & exposed beams create beautiful angles mirrored throughout. 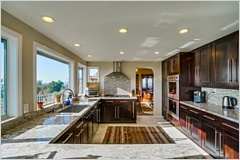 Enjoy a remodeled chef's kitchen with granite countertops, premium stainless-steel appliances including a double convection Viking oven, & ample cabinet storage with soft close doors. 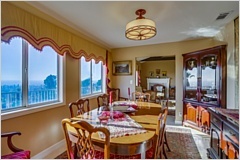 An elegant formal dining room is just off the kitchen. 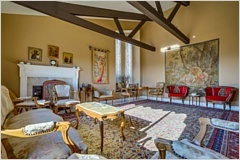 Gather for quality time in the living room with fireplace or Family room with cozy fireplace, bar & beautiful views. 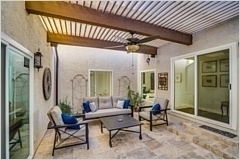 Sliding doors lead out to a spectacular wrap around deck. Relax outside with a cup of coffee or gather with friends & swap stories around the fire pit. Rest peacefully in the luxurious master, featuring a spa style ensuite with soaking tub & walk-in shower. Each of the 3 additional bedrooms are spacious & comfortable. Outside, the large driveway & spacious two car garage provide ample parking. Also find, a laundry room, security system, custom closets, built-in speakers, copper plumbing & water softener system.